Unless you’ve been living under a rock, you’re aware that telehealth technologies are on the rise. Telehealth is being adopted by major health systems, health plans and employers in order to deliver more immediate access to care that can also reduce overall costs to the organization and the people or patients they serve. This widespread adoption is being driven in large part by consumers who want telehealth-based care. In a survey conducted by American Well, we found that 65 percent of consumers want to use telehealth and 7 percent would consider leaving their primary care physician for one that offered telehealth. Fortunately, the lure of telehealth for hospitals and providers is not solely about the risk of losing patients – it’s also about gaining market share. For hospitals and providers, telehealth enables more frequent connections with existing patients and the ability to reach new patients in new markets. It also offers a tool to improve team-based care and coordination. With any new technology that has the potential to radically change the care delivery model, there are questions and fears. 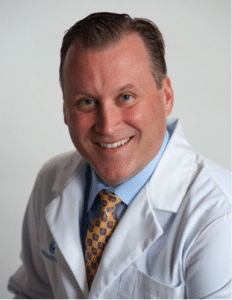 As the Chief Medical Officer of telehealth company American Well and Medical Director of our national medical network Online Care Group, I have compiled the top 10 questions I typically receive from providers considering telehealth. #1: How does it work? 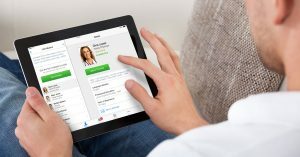 Telehealth can be accessed from anywhere across all types of mobile devices – smartphone, tablet, and desktop or laptop computer. 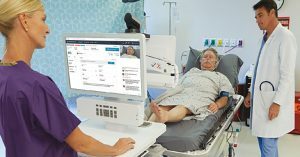 For acute-care needs, providers can be accessed for on-demand visits. For follow-up, team-based or specialist care, scheduled visits are also available. Video-based telehealth enables a two-way, face-to-face conversation between the patient and provider that allows you to see the patient and guide them through a physical examination, as well as see elements of their environment for more informed decision-making. In short – in most states today, yes, telehealth is permissible. It is important, however, to understand the medical board regulations with regard to telehealth. For example, with few exceptions for second opinions and specialist provider-to-provider consultations, it is a prerequisite that the provider be licensed in the state in which the patient is located. 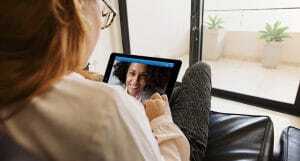 Generally all states’ medical boards allow telehealth to occur between a patient and provider that has a previously established relationship with an in-person visit. All states generally accept consultations from providers who have not established a prior in-person relationship with the patient if the patient is at a clinical site and is presented by a clinical presenter. To be sure, we recommend contacting your local state board or you can visit the American Telemedicine Association site for more information. #3: How can I get paid for using telehealth? Each major payer type – Medicare, Medicaid and Commercial payers – has different guidelines for reimbursement and telehealth coverage. The good news is that telehealth continues to receive increased levels of reimbursement – a trend we expect to pick up steam in the next 6-12 months – and it’s important to continue to review with your selected technology provider what the opportunities for payment are based on insurer type. #4: Which use cases or conditions should I treat with telehealth? It makes sense to start with the low-hanging fruit. Many providers choose to start with after-hours urgent care or office hours because offering telehealth here addresses an immediate need for additional care. Another key use case is medication management, and telehealth can have significant impact in adherence. Additionally, chronic care and follow-up appointments can be efficient applications of telehealth since a patient already has an existing relationship with the provider. #5: How do I examine a patient? While telehealth is a different modality and type of visit, we find that providers very quickly adapt to a telehealth examination. For one, when evaluating a patient, the provider uses the same skills as they would in another setting – this is primarily true when doing a face-to-face video. While there are limitations relative to a brick-and-mortar visit, a live video based visit is more robust than a phone call or any asynchronous communication. At a high level, there are a few key factors when conducting a live telehealth video visit: taking a good history; assessing the overall appearance of the patient – including mental status, pain level, and toxic or ill appearance; and whether or not the patient might need in-person care. For the latter, it’s important to take more of a triage stance. An added benefit to examination over telehealth is that the provider can gain information from the home that would not have been available in a clinical setting. Patients are generally comfortable in their home and often open up more. The provider has access to the patient’s social setting and may see family members. #6: How do I go about building a program? Building a program depends a lot on the use case. Offering on-demand visits simply involves ensuring that a provider is available to meet the patient in the virtual waiting room. These providers can be in the office setting and integrated with the reception staff workflows or can be done from the home with no need for support staff. While a telehealth platform like American Well does support an independent schedule, most providers desire to have one unified schedule, typically in the EHR. When offering follow-up or chronic care, it helps to develop workflows in which existing staff schedules the visit and provides the patient with the appropriate instructions. #7: What is the liability? To date, telehealth is associated with a very low incidence of malpractice or board action. In four years of practicing nationally, American Well’s medical network, Online Care Group, for example, has not had a single malpractice case or physician called before a medical board. This is similar to the experience nationally. #8: What kind of results can I expect to see? Patients love telehealth. This form of care is convenient, cost-saving, and high-tech. Patients love how this can improve access as well as how it helps them save time and money. Telehealth can extend care to after hours or weekends, and when this care is offered by a known physician, it provides comfort to the patient in addition to ensuring care continuity. Most physicians have had the experience of seeing patients in an ER or urgent-care center in which the patient has had a long wait. These patients are already dejected from enduring a poor experience. In telehealth, instead, patients are generally pleased and even excited at the short wait and the convenience. This makes for a positive experience and results in higher patient satisfaction – in turn fostering stronger relationships between the patient and provider and ties to the associated hospital brand. #9: What’s the best medium for practicing telehealth? I strongly believe in video as the most robust form for a visit – while traditional telephone-based telehealth visits are attractive to some patients – and American Well and other providers offer them – it does not allow for face-to-face physical and behavioral examination. Some use cases would be impossible to treat over phone telehealth versus video telehealth. A good example is dermatology. If a patient is presenting a specific type of rash, they would want to be able to show that to their provider, and that’s obviously not something that can be done over the phone. #10: Why should I do telehealth? There are many reasons our providers cite for getting into telehealth, but the most commonly cited are: (1) the interest from consumers and want to retain patients as well as attract or reach new patients; (2) the efficiency of delivering a video visit, on-demand or scheduled, based on a provider’s own availability and flexibility to work remote; (3) extended hours – ability to pick/choose hours based on a provider’s own schedule and work outside the clinical setting; (4) the great value you’re delivering to patients through a relatively low-cost and convenient visit; and (5) the potential to use telehealth to have more frequent touch points with patients to help manage chronic conditions, such as diabetes or cancer.